Schwab Intelligent Portfolios for retail investors has minimum of $5,000; will roll out early next year, followed by an RIA version. Walt Bettinger, Schwab president and CEO. Charles Schwab (SCHW) outlined how its automated investment advisor service would work for retail investors on Monday, less than two weeks after rivals began sharing their own robo-advisor news. “Schwab Intelligent Portfolios addresses a growing demand for affordable, objective, sophisticated and convenient investment advice,” said Schwab President and CEO Walt Bettinger, in a statement. The RIA version, Schwab says, will be introduced soon after the investor version. Advisors will be able to use their own branding of the program and also can tinker with ETFs to customize portfolios for clients. Plus, they can choose different charges or offer the service for free online and through mobile devices. “The white-label program will let RIAs service clients in a much more scalable and efficient manner, which will help them grow their businesses faster,” said Naureen Hassan, senior vice president of Schwab Intelligent Portfolios, in an interview with ThinkAdvisor. The minimum investment level is set for $5,000, lower than the investment minimums of many RIAs. “This means they can serve clients who previously were below their minimums, because they can do so in a more automated and scalable manner,” explained Hassan. Plus, unlike with an automated investment program announced last week by Fidelity, assets held in Schwab Intelligent Portfolios will be custodied at Schwab. “It is our own product, not that of a third party or referral relationship,” she added. With the retail-client program, investors with $5,000 or more will be able to open individual, joint, IRA and revocable living trust accounts with automated portfolios that use Schwab and other ETFs. Automated tax-loss harvesting services will be offered for free for those investing $50,000 and up. Like its rivals, Schwab management sees the offering as complementing rather than cannibalizing its advisor-driven business. Last week, TD Ameritrade Institutional (AMTD) President Tom Nally said the firm would take an open-architecture approach to automated investing. Its plan is to give advisors access to companies that build digital-advice offerings (such as SigFig, Financial Engines, Edelman Online, Trizic and FutureAdvisor). Advisors also can turn to robo-providers who already custody with TD (such as Jemstep, Upside and NestEgg Wealth). In mid-October, Betterment struck a deal with Fidelity Investments to introduce robo-advisory services to some 3,000 independent advisors who custody assets at Fidelity. According to Betterment CEO Jon Stein, 25 advisory firms have been beta testers of the Betterment Institutional platform, and an additional “800 to 1,000 firms” have expressed interest in adopting it. 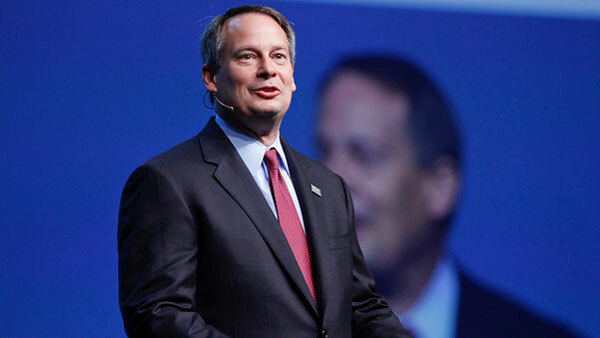 Schwab’s announcement reverberated through the crowd at Pershing’s Discover conference for broker-dealers in New York on Monday. In the Q&A portion of a general-session panel focusing on industry trends, the first question from the audience was about the implications of Schwab’s digital-advice offering. Mark Tibergien, CEO of Pershing Advisor Solutions, warned that “we’re becoming a little over-agitated” about robo-advisors. “Fidelity, TD Ameritrade and Schwab have been in the do-it-yourself space for decades,” he said. With the anticipated launch of Schwab Intelligent Portfolios, experts note, the biggest players in the advice industry are showing not when but how they intend to combine financial-planning advice created by a person and portfolios made by a computer-generated algorithm.